NACHA's Preferred Partners demonstrate leadership and innovation in its offerings and business practices to increase or enhance the use of secure electronic payments, information and messaging by financial institutions and end-user entities. Learn more about NACHA's growing community of innovative solution providers and how they can support your payments needs. HighRadius provides Financial Supply Chain Management (FSCM) software solutions to optimize receivables and payments functions such as credit, collections, cash application, deductions and eBilling. HighRadius Receivables OnDemand & Payments OnDemand solution suite is delivered as software-as-a-service in the cloud to automate the entire credit-to-cash cycle. HighRadius certified Accelerators for SAP Receivables Management enables large enterprises to achieve advanced business transformation initiatives and leverage their SAP investments with lower total cost of ownership (TCO). HighRadius solutions have a proven track record of reducing days sales outstanding (DSO), bad debt and increasing operation efficiency enabling companies to achieve an ROI in few months. HighRadius Cash Application OnDemand is the industry’s only solution built from the ground up to provide no-touch automation of cash application for all forms of payment remittance, including email and files, web portals, EDI, and paper and images. The Artificial Intelligence-based, ERP-agnostic system enables unmatched levels of straight through processing and accurate matching to open invoices. AR teams can realize significant efficiency improvements from no-touch cash application automation and refocus resources on higher value activities such as collections, deductions and disputes, or credit management. For more information, contact HighRadius. Treasury Software provides a line of ACH software, enabling clients of all sizes to create ACH Files. ACH Universal™ is installed at the client's location, enabling full integration and automation with popular packages such as QuickBooks, Excel and Microsoft SQL Server. In addition, ACH Universal can send email notifications to vendors with a full electronic check stub containing the detailed remittance information. A free full working trial copy of ACH Universal is available from Treasury Software's website at www.treasurysoftware.com/download/. Since 1999, Treasury Software has been promoting access to the electronic banking network for businesses of all sizes. As a Microsoft Certified Gold Partner and Intuit Developer, their trusted solutions enable clients to create and transmit ACH files easily and cost effectively. Treasury Software has presented at PAYMENTS, XML initiatives, AFP and regional ACH conferences, serving as a resource to the banking and ACH community. In addition to being a member of NACHA's Payments Innovation Alliance , they are an active participant in The Federal Reserve Bank's Small Business Payments Toolkit work group. Fiserv is driving innovation in Payments, Processing Services, Risk & Compliance, Customer & Channel Management and Insights & Optimization. For more than 30 years, Fiserv has been a global leader in financial services technology. Fiserv is a FORTUNE 500 company and has been named a FORTUNE magazine’s World’s Most Admired Company for three consecutive years. For more information, contact Fiserv. MACH1 is the only mobile solution that specifically targets the 35 million Americans who are self-employed as “solopreneurs” or as part-time “side-giggers,” most of whom provide services such as lawn maintenance, home cleaning, car detailing, dog walking, personal training or coaching, music lessons and more. The solution enables these smallest of small business owners to successfully address the two biggest challenges they face: getting paid on time and getting more business. The highly intuitive web-based and mobile interfaces enables users to quickly create and send professional-looking bills that their customers can open using SMS text message or email before paying via ACH with just a click. Simpler and more convenient than the leading accounting software, and far more affordable than dongle-based credit card services, this highly innovative app includes the ability to add before-and-after photos or personalized videos to bills, send payment reminders and receipts, as well as create and distribute special offers that recipients can readily share through social media to generate free referrals. Offered as a standalone platform, this cloud-based solution can be readily deployed by banks, credit unions and other partners. Bottomline Technologies (NASDAQ: EPAY), an innovator in business payment automation technology for 30 years, helps companies make complex business payments simple, smart and secure. The proof of our success lies in the fact that Bottomline’s solutions are being used by thousands of companies in 92 countries to simplify and streamline payment processes, dramatically improve cash management and rapidly gain full control over payments. That’s billions of transactions processing trillions of dollars of payments every single year. Corporations and banks worldwide rely on Bottomline for domestic and international payments, efficient cash management, fraud detection, regulatory compliance and more. What can we do for you? For more information, contact Bottomline Technologies. Finastra unlocks the potential of people and businesses in finance, creating a platform for open innovation. Formed in 2017 by the combination of Misys and D+H, we provide the broadest portfolio of financial services software in the world today—spanning retail banking, transaction banking, lending, and treasury and capital markets. Our solutions enable customers to deploy mission critical technology on premises or in the cloud. Our scale and geographical reach means that we can serve customers effectively, regardless of their size or geographic location—from global financial institutions, to community banks and credit unions. Through our open, secure and reliable solutions, customers are empowered to accelerate growth, optimize cost, mitigate risk and continually evolve to meet the changing needs of their customers. Forty-eight of the world’s top 50 banks use Finastra technology. Finastra recognizes that the payments business is evolving at a rapid pace. Real-time payments are on the rise, requiring rapid roll-out of new service models based on new payment types. Electronic payments volumes are growing, straining traditional processing silos. And regulation and competition are making it harder to manage payments operations. Finastra’s technology consolidates all payment types – wire, ACH, real-time and SWIFT cross-border – into a single streamlined platform, available on-premise or in the cloud. Our payment solutions allow Finastra’s customers to easily navigate today’s challenging payments landscape, while maintaining superior customer service, increasing revenues, reducing risk and driving down costs. For more information, contact Finastra. First Data is a global leader in commerce-enabling technology, serving approximately six million business locations and 4,000 financial institutions in more than 100 countries around the world. The company’s 24,000 owner-associates are dedicated to helping companies, from start-ups to the world’s largest corporations, conduct commerce every day by securing and processing more than 2,800 transactions per second and $2.2 trillion per year. For more information, contact Volante info@volantetech.com. For more information, contact Alacriti. The AeroPay Express “Virtual Credit Card” opens a new world of possibilities to buyers, sellers and bankers. AeroPay Express offers AP credit lines from $50,000 to $5 million to credit worthy buyers that they can use to buy goods and services anywhere in the world. AeroPay Express is similar to a business credit card, only bigger, better and smarter. Unlike credit cards that require both the buyer and the seller to be part of a network, AeroPay Express can be used by any business, any time, any place. Like a credit card, it is the seller, not the buyer who pays for the service whereby the seller accepts a small discount for early payment when they ship. The sellers gets money for goods when they are accepted, and the buyer gets 30, 60, 90 days to pay the invoice. It’s a win, win, win all around. The AeroPay Express Channel Affiliate program allows banks and financial institutions the ability to co-brand the AeroPay Express AP Lending platform to a wide variety of customers and industries. With AeroPay Express, banks and financial institutions can offer a more robust alternative to traditional P-Cards and develop a closer lending relationship with customers. Offering AeroPay Express not only expands lending relationships, AeroPay Express AP credit lines offer high yields and are credit insured by the nation’s number one credit insurer, all at no cost to the borrower or financial institution. AeroPay Express AP credit lines will set your institution apart from the competition. Join the fintech revolution. Join AeroPay Express. For more information, contact AeroPay Express at 800-983-3726 or visit www.aeropayexpress.com. 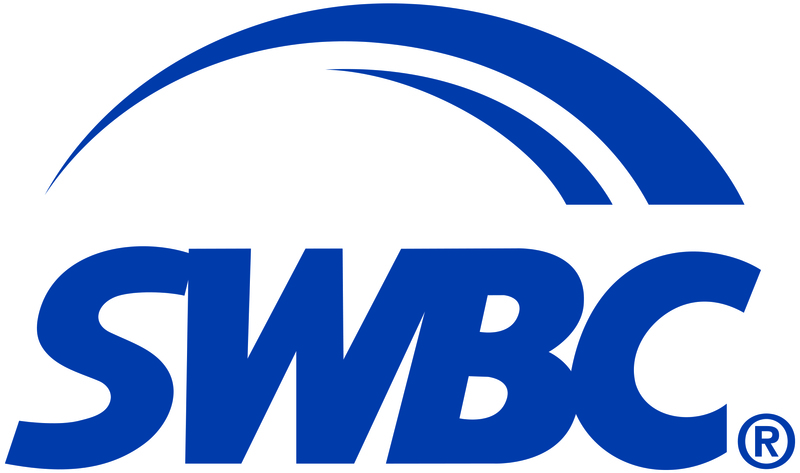 SWBC is a diversified financial services company headquartered in San Antonio, Texas. The Payments group at SWBC works exclusively with financial institutions to deliver precise, efficient, and comprehensive solutions that expand the ability to originate, track, and settle ACH and card-based payment transactions for loan debt repayment. From the sleek payments interface, Bacon Loan Pay, and natural-language-processing IVR solution, to custom APIs and solutions integrated into leading collections, account origination, servicing, and core platforms, SWBC has a solution to fit any business need. This program is available through the proprietary AutoPilot platform, where financial institutions can access SWBC’s full range of risk management and lending solutions. For more information, visit SWBC.com or contact info@swbc.com.